Description: Located in the La Défense business district of Paris, this 40-story glass office tower encompasses 70,000 sm and includes a sports center, restaurants, executive meeting areas, and conference space. The building’s systems are state-of-the-art and provide occupants with flexible, efficient floors that can be reconfigured easily and inexpensively when shifting employees and departments. Cosentini engineered a 7,500 kW district cooling chilled water plant for the project, as well as an emergency generator plant with 5,000 kVA emergency generators. 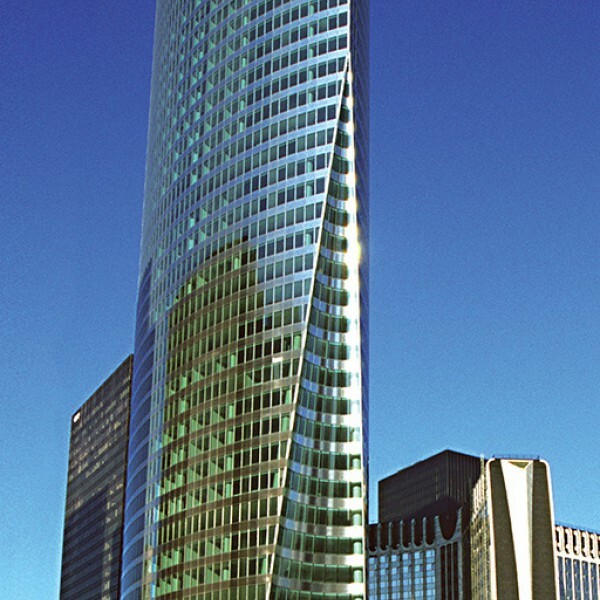 Electricité de France (EDF), a co-owner of the tower, occupies 43,000 sm within the building.